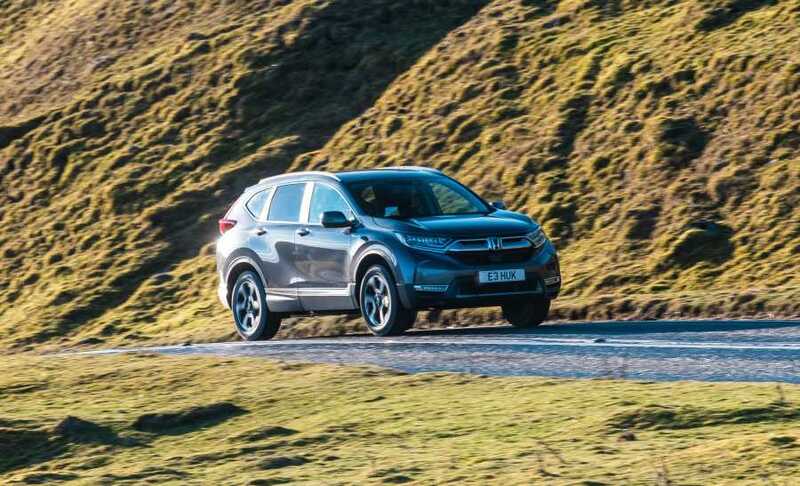 NO market is more competitive for SUVs than the UK – and Honda has just raised the bar again with the new fifth generation CR-V. Buyers have traditionally flocked to the CR-V, to the point that sales have reached 280,000 here over the last two decades. And the reason is simple – this mid-size model does everything with exceptional competence. 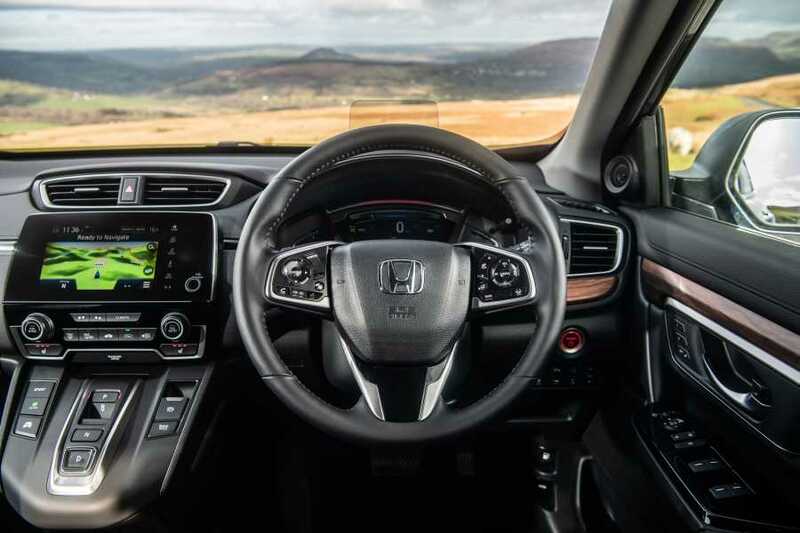 Want a car that’s meticulously engineered – British-built and developed – expertly refined, sensibly designed and has rock-solid reliability, then the Honda ticks the boxes. With this latest version the CR-V does the business like never before. While there’s more style, comfort, convenience and connectivity, the all-new CR-V also heralds the first ever hybrid Honda SUV in Europe. And during a 100-mile test drive through some of the country’s most spectacular scenery in North Yorkshire and Swaledale, the hybrid demonstrated why it’s likely to prove another huge hit with motorists. The hybrid system is both seamless and economic. It features what the Japanese manufacturer calls intelligent Multi-Mode Drive and comprises two electric motors, a 143bhp 2.0-litre petrol engine and a lithium-ion battery. The intelligent bit is the way the technology automatically switches between three modes to provide the best driving efficiency. They are EV Drive for fully electric driving, Hybrid Drive during which the engine supplies power to an electric generator motor and Engine Drive where the engine is connected directly to the wheels. For most urban journeys the system will shuffle between EV and Hybrid Drive for optimum efficiency and in the latter mode excess power from the engine will also recharge the battery. EV gives a zero emissions range of up to a mile and while it is completely silent there is an acoustic alert system to warn pedestrians when the CR-V approaches. Our own test resulted in being able to drive for several stretches of moorland road at up to 50mph in fully electric mode before the Economy or Sport setting kicked back in. It was smooth and impressive, the only minor quibble being the engine noise which was excessively ‘revvy’ and an average fuel return of 37.5 miles per gallon compared to the official figure of 51.4. 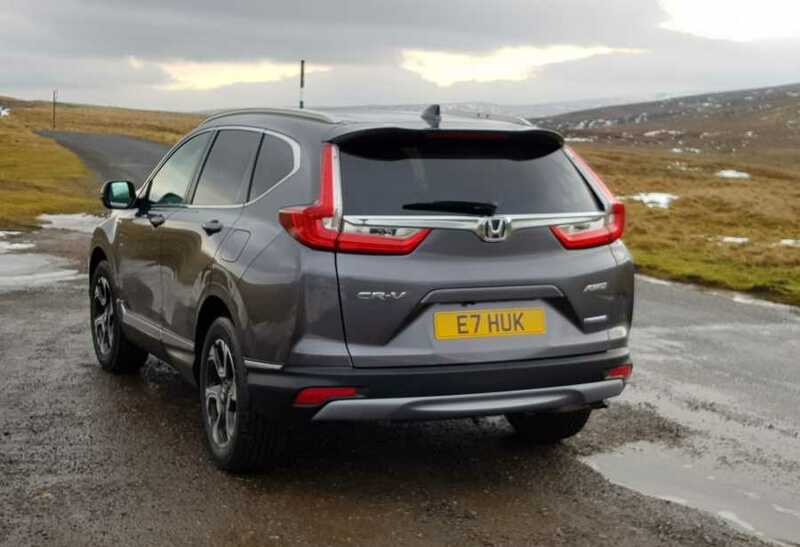 While the hybrid set-up certainly gives the CR-V an extra string to its bow, Honda has introduced a lot more with the latest model – paramount given that many customers will be opting for the 1.5-litre turbo petrol variant. For instance there’s an emphasis on clever features designed to make the Honda easier to use, like the ability to programme the height of the tailgate to avoid contact with low ceilings, more cabin flexibility via a triple-mode centre stowage console and new ‘dive down’ 60-40 split/fold rear seats for quicker loading. And as well as a wider, deeper boot with a longer load bay you also get a hands-free power tailgate. The layout and quality of the cabin is also a stand-out feature with its warming wood-effect inserts, comfortable seats and attractive seven-inch horizontal touchscreen. 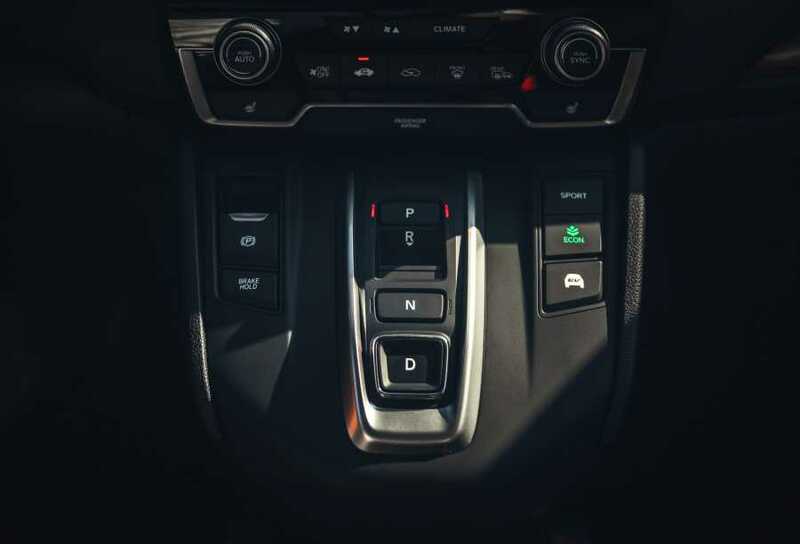 As for the drive selector controls, these are operated by a compact switch-style transmission selector rather than a conventional lever – Drive, Park and Neutral at the push of a button while Reverse requires a pull-up action. A fundamental change made by Honda’s engineers was to extend the length of the wheelbase by 30mm. It doesn’t sound much but in reality provides more space inside – especially in the back – while also contributing to the SUV’s more svelte styling and allowing for a deeper boot with longer load bay. 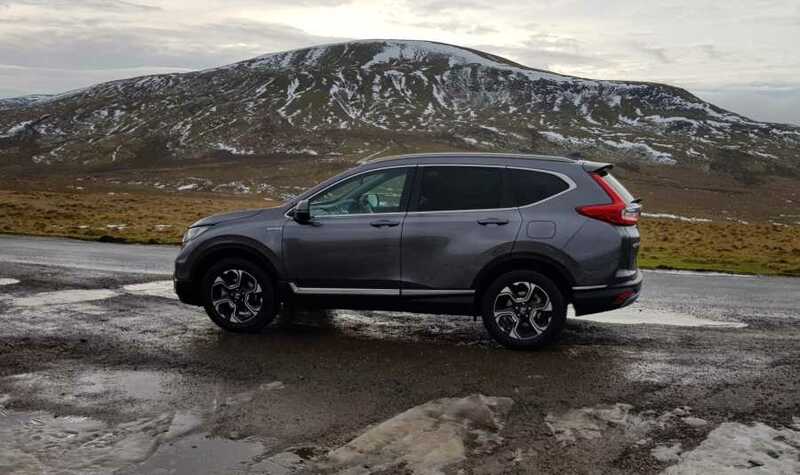 We found the new CR-V, which is available in both front-wheel drive and 4WD, a relaxing but also rewarding vehicle . It benefits for the first time from what Honda calls Agile Handling Assist, an electronic stability system specially tuned for the European market to reflect typical road surface conditions and driving styles. And the roads we encountered on the press exercise – a mix of motorways, icy moorland roads and steep downhill tracks – certainly called for the resulting steering inputs, both gentle and rapid. Prices for the newcomer start at £25,995 for a 2WD manual S grade petrol model and top out at £36,455 for an AWD EX with CVT transmission. Hybrids start from £29,105 for a 2WD S grade and rise to £37,255 for an AWD EX.